When: Sat., May 18, 11 a.m.-1:30 p.m. and Sat., June 15, 11 a.m.-1:30 p.m.
We are excited to host YOGAMOTIF (external link) and their signature Yoga Paint Party™! Move with us and create a painting while you practice. 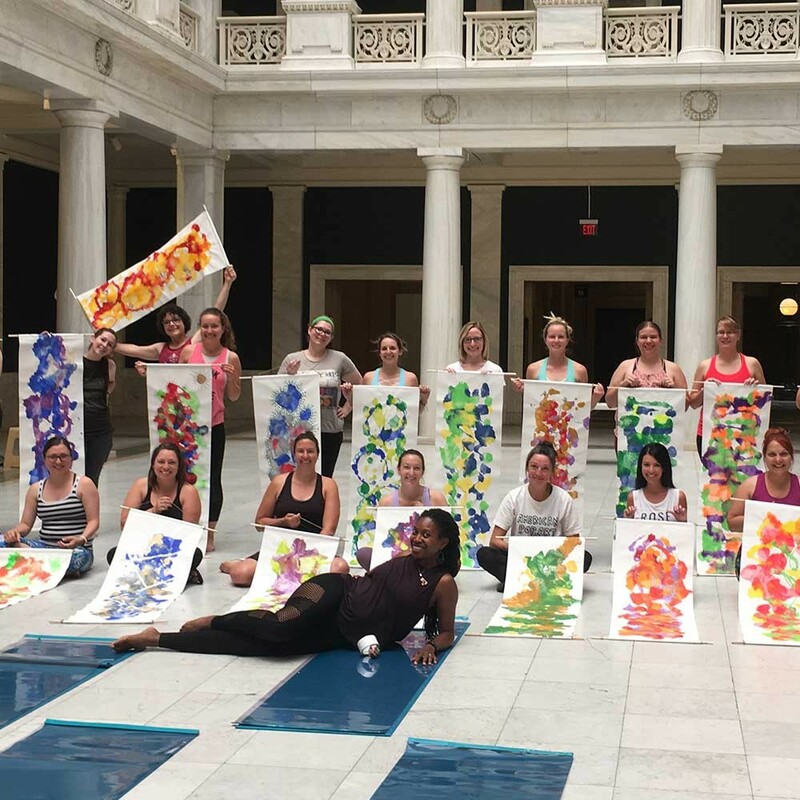 Tickets include one hour of yoga, materials, the resulting original painting that reflects your yoga flow, and free admission to the Carnegie Museums of Art and Natural History. Special mats will be provided for the practice. Spots are limited. Open to guests 18 and older.